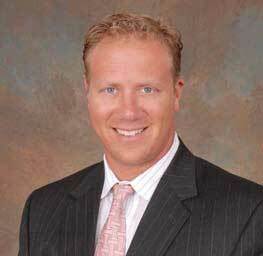 Mr. Sipple is the Chief Operating Officer of Lighthouse Realty Fund, LP. He has a Bachelor of Arts degree from the University of Delaware in Consumer Economics and fifteen years as an investment advisor, managing over $500 million in investable assets. Mr. Sipple began developing real estate in 1999 and possesses a thorough knowledge of the regulatory processes involved in obtaining necessary government agency approvals for the recording and construction of residential and commercial subdivisions. He has established a broad network of relationships with some of the nation’s top home building companies and has been personally responsible for the successful creation of more than a dozen communities in the Delaware marketplace, consisting of more than 2,000 residential units. As Chief Operating Officer, he engages and supervises all Lighthouse Realty Fund project managers and strategic partners and coordinates with the other Officers of the Fund to guide project analysis and selection.